The first radio school was set up early in the Second World War by the Post & Telegraph Department to meet the demand for Radio Techs during the war. A lot of the Department’s Radio Techs went into the services but, as there weren’t many of them, most were retained in New Zealand. A number of those were given uniforms and sent to Fiji where they set up and ran the big communication bases. They were still P&T staff but it was hoped that the uniforms would stop them being executed like the Coast Watchers if the Japanese took the place over. 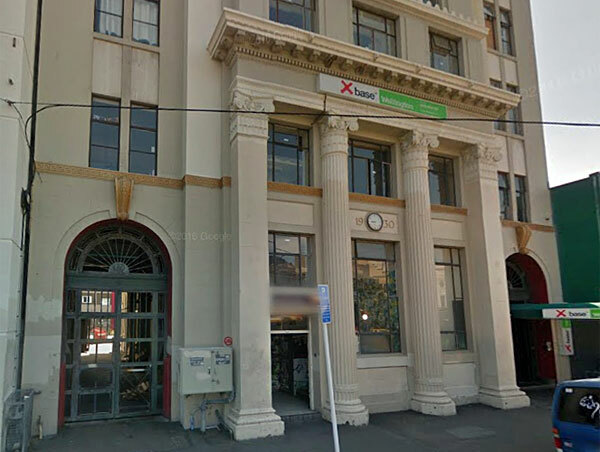 The school was based at the Wellington East Post Office (built in 1930) at 21-23 Cambridge Terrace in Courtenay Place. Early in the war period it became evident that reliance would have to be placed to a large degree on Mechanicians who were under the age for military service. Although in normal times several years could elapse between the first appointment of junior Mechanicians and the time when they could be given responsible work, it was necessary to shorten this period. Accordingly a school of instruction was organised and commenced operations in December, 1941. It took the form of a school for junior radio Mechanicians, the course lasting about 3 months and covering the syllabus for the certificate in Radio Technology. As an additional feature it included a practical course of instruction in servicing and adjusting work on radio receivers and transmitters. Altogether five courses were conducted, the last commencing in January, 1944. 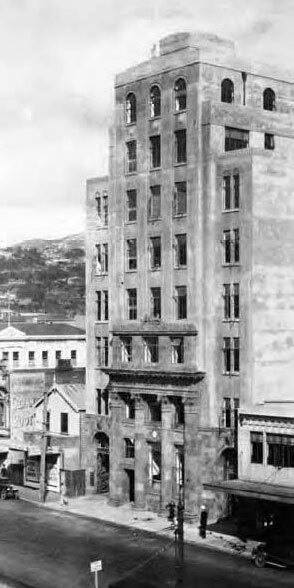 Radio Section had moved in 1939 from Whitmore St to the Wellington East Post Office. This was a convenient arrangement, as the Radio Inspectors ran the CRT exams and recorded passes in the exam and issued certificates to successful candidates. A key part of the exam was to demonstrate the successful tuning of a transmitter. When I did my CRT, I was lucky that we had an identical Collier & Beale transmitter at Wellington Radio ZLW and Jack Colman made sure I knew both the official method of tuning and the unofficial method which, once mastered, was much quicker for good power out. In the RI’s test the dummy load was a lightbulb hidden under a box so that you couldn’t see it. When you said you’d tuned the TX, the RI removed the box. If you’d got the light bulb to glow you passed. Using Jack’s unofficial method the bulb glowed so brightly it must have been on the verge of burning out. The RI was most impressed. If you passed that you next had to operate a DF unit and demonstrate a knowledge of how it worked. 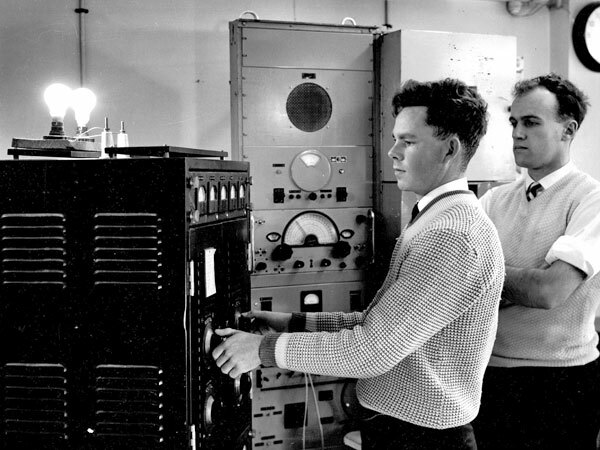 A radio tech tunes a transmitter into a light bulb dummy load in preparation for the CRT practical exam, probably at the Te Aro Post Office, which is where Wellington Region Radio Inspectors were based. Date unknown. Following the war, radio courses continued to be held at the Wellington East Post Office, until late 1949, when the school moved to Trentham. 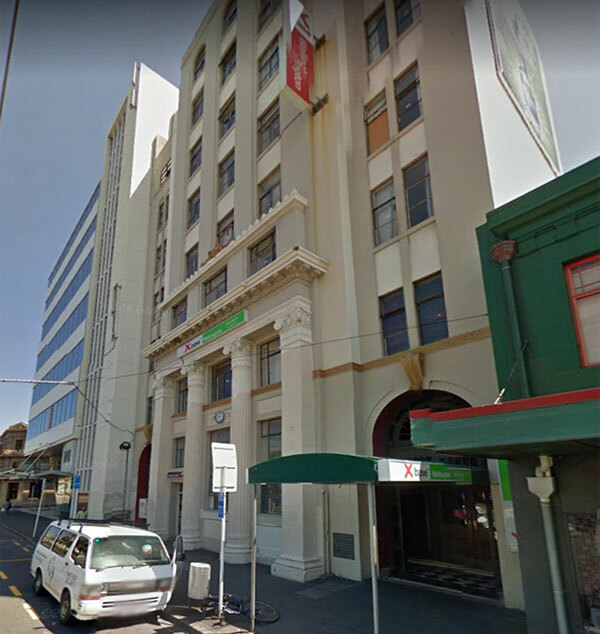 I’ve been told by two people that the last course(s) at the Wellington East Post Office were in an office on the second floor overlooking Cambridge Tce. That would be the two rows of windows above the clock. I’ve also been told the crystal manufacturing lab was also in that location – likely when the school was on the ground floor next door. The Post Office building is still standing (September, 2017) and is now a backpackers hostel.